Magnesium body butter is a sore muscle’s best friend. Not only is it great for hydrating the skin, it’s also an incredible way to help soothe aches and pains. I love applying this whipped magnesium body butter at night because it’s a very calming, nourishing, and relaxing. And the best part? It’s inexpensive and super easy to make. 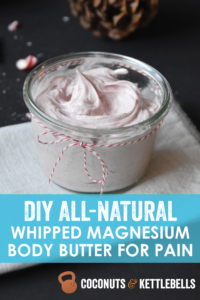 So, why the magnesium in this whipped magnesium body butter recipe? Magnesium is essential for health, and due to factors such as modern industrial processing and soil degradation, most people are deficient in magnesium and could benefit from adding some back in topically or orally. Magnesium deficiency can cause muscle cramps or weakness, restless legs, migraines and cluster headaches, irritability and anxiety, fatigue, hypertension, and sleep problems—to name a few. If you’re not supplementing with magnesium, there are a couple different ways you can get it into your system. The first, of course, is topically through the application of this magnesium body butter. Topical, or transdermal application, is a method of delivering minerals to the body through the skin. 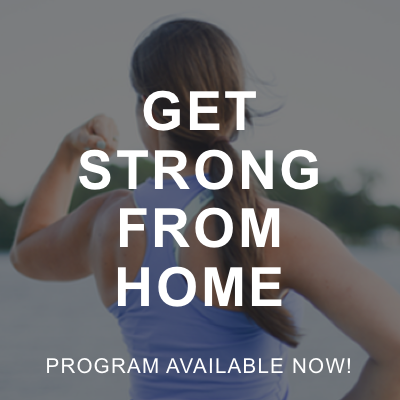 It’s incredibly effective, especially when applied directly to areas of muscle pain. The two main topical magnesium products include magnesium oil, and magnesium flakes, which can be added to the bath. While I love magnesium oil, it has a watery consistency, and therefore is hard to apply to popular areas of soreness like the neck or lower back. Adding magnesium oil to nourishing oils, as you’ll find with this magnesium body butter recipe, makes it easier to apply directly to muscles, and has the bonus effect of nourishing the skin. You can also take magnesium orally in powder or pill form. Certain forms of oral magnesium can have a laxative effect, so it’s really important to start with a low dose, and work your way up to more. Quality does matter when it comes to oral supplementation with magnesium, so it’s important to know which types of magnesium are best. I highly recommend Natural Calm, which is an absorbable form of magnesium known as ionic magnesium citrate. If you’d rather not take a powder, I also recommend magnesium glycinate, which is also highly absorbable and does not have a laxative effect when taken. The typical daily dosing for magnesium is 3-4 mg per pound of body weight. For example, if you weigh 150 lbs, you’d need between 450-600 mg per day. You can get this orally or topically, or through a combination of both. Personally, I take Natural Calm before bed, and apply this whipped magnesium body butter daily to my back, shoulders, and any other tight or sore muscles. While there are quite a few different essential oils that help relieve muscle pain or soreness, including marjoram and lavender, peppermint oil is used in this recipe because it is analgesic, anti-inflammatory and antis-spasmodic, meaning it can help relieve pain and inflammation, and reduce muscle cramps. Peppermint contains menthol, an organic compound which provides a pain-relieving cooling sensation and naturally alleviates discomfort, making this whipped magnesium body butter a perfect partner to long work days or workouts. Put 1-2 inches of water in a small pot, and place over medium-high heat. Put a glass bowl on top of the pan so that the water is just underneath the bowl, but not touching it. 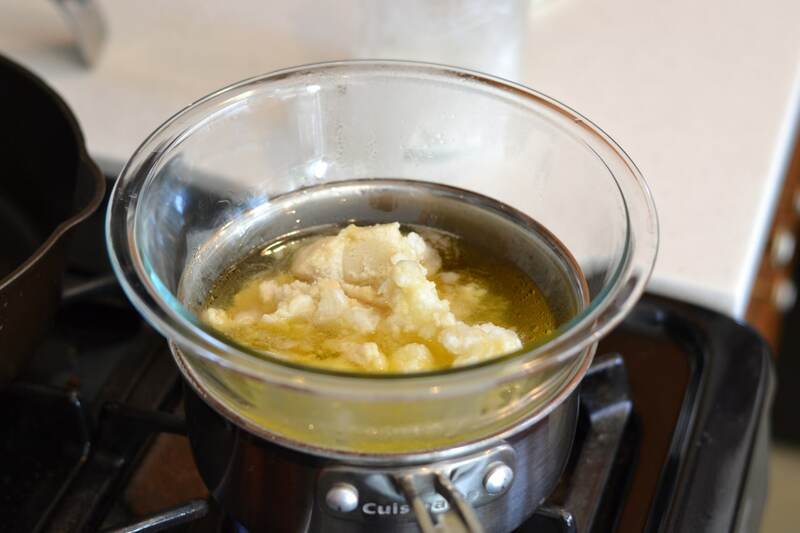 Put the coconut oil, shea butter, and jojoba oil in the glass bowl, and let the ingredients fully melt to combine. You’ll need to stir the mixture occasionally. Once ingredients have melted, turn off the heat and remove the glass bowl from the pot. Once glass bowl has cooled, place the bowl (with the ingredients!) into the fridge for about 45-60 minutes until the mixture becomes translucent, and has hardened slightly. The oils should be soft to the touch, but not liquid. 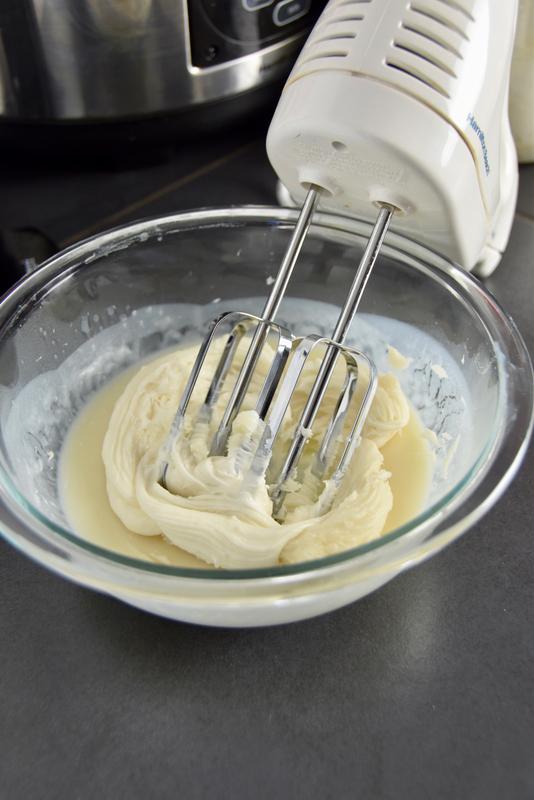 Using a hand mixer, whip the contents again for 1-2 minutes until texture becomes light and fluffy. Transfer to a glass jar for storage. This recipe uses pre-made magnesium oil, which typically has about 560 mg per tsp. This means, you’ll be getting around 100 mg of magnesium per tsp of whipped magnesium body butter. Because magnesium is great for sleep, I highly recommend applying this magnesium body butter before bed. If you don’t have any specific muscle you’d like to apply it to, try rubbing some onto your feet. If you’re not a fan of peppermint, feel free to swap it for lavender essential oil or marjoram essential oil. This magnesium body butter is great for all skin types. 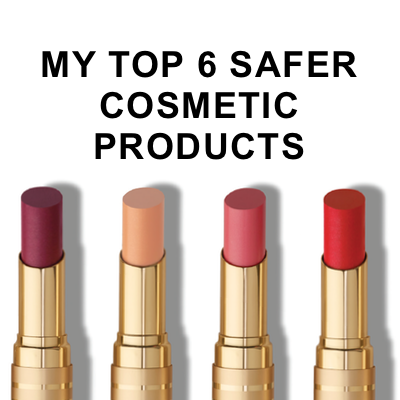 Of course—I recommend testing it on a small patch of your skin first to make sure there you do not experience any reactions. This magnesium body butter is stable at room temperature. I recommend putting it in a jar that has a lid, which will help the body butter keep its whipped consistency. 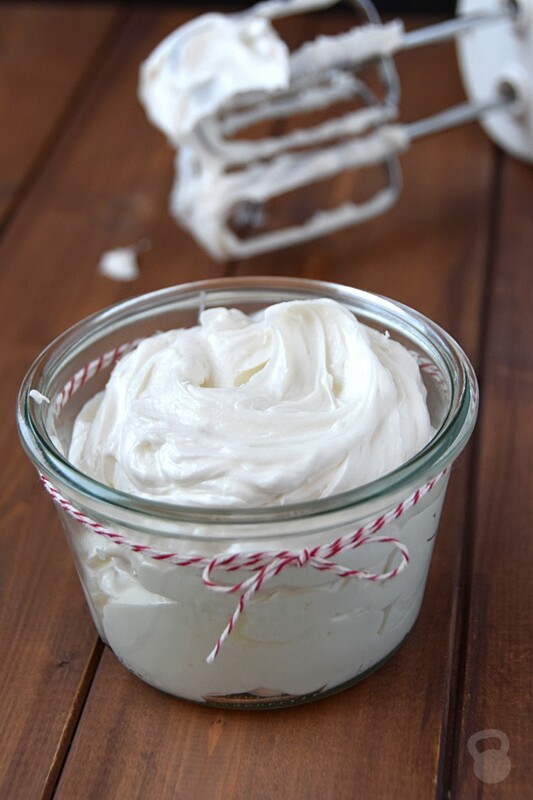 If the consistency changes, you can periodically re-whip the lotion using a small spoon. 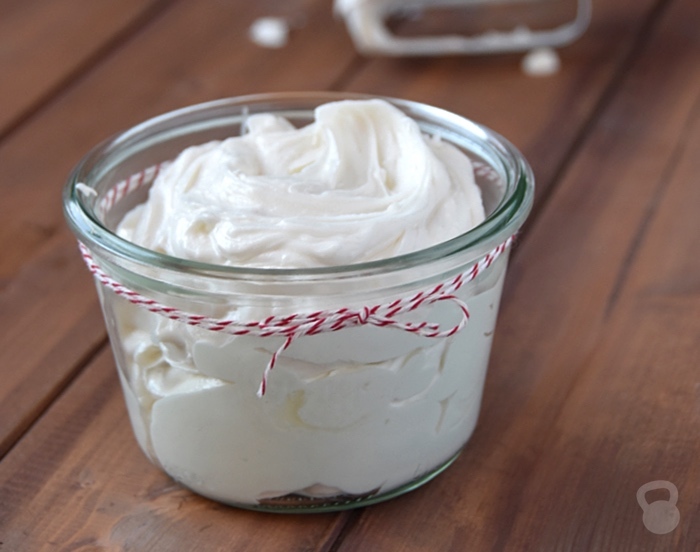 Got any questions about how to make this whipped magnesium body butter? Post them below and I’d be happy to help! At what point do you add the essential oil? How long do you think this will keep? I’m thinking about making this and giving it away as gifts. I’d like to give people a heads up on how soon they should use it up. Awesome! Thanks for this idea! I plan make some for myself, too! Yay! Noelle, it looks good enough to EAT! Thanks for the recipe! Hi- DC. Should store the leftover Shea butter in the frig or at room tempreture? Hi, great recipe! I have made something similar–same ingredients except jojoba oil. What does the jojoba oil do? Can you use magnesium flakes as well? Hi! I was so looking forward to trying this for my leg cramps. However, mine came put so oily it won’t even soak in. Would adding some corn starch help? I tried it immediately after making it. Hopefully it will firm up over night. Hi Kathy! In order for it to become a body butter, you’ll need to let it sit in the fridge to firm up, and then whip it with a hand mixer. I would not recommend adding corn starch to it. Thanks for replying, Noelle. I let it sit in the fridge for the two hours that the recipe called for (1 hr each time between whippings). Are you saying i need it to stay in the fridge after the processes were completed? I followed the recipe exactly. I’ll put it back in the fridge to see if that helps. I really can’t figure out what went wrong, unless its my magnesium oil. What about whipping in some melted beeswax? Did you make your own magnesium oil? Also, did the recipe harden appropriately in the fridge before you tried whipping it? I used magnesium from a spray bottle that i used for cramps. It says its 100% magnesium. I let it harden until the sides were very firm. Had to scrape the firm portions off the sides of the bowl before i whipped it. It looked beautiful, but very soft. It wasnt until i put it on my legs that it turned to pure oil and wouldn’t soak in. And i waited an hour to go to bed. It was still so oilY that i had to wipe it off so it wouldn’t get all over my sheets. Hi Kathy! OK, so I would recommend using a much smaller amount than you did. While we typically put quite a bit of regular “lotion” on, oil-based body butters are MUCH different—especially with the addition of the magnesium oil. Try only using a dab, and rubbing it in well. Can i use coconut butter in place of shea butter? Hi Dotty. No, I don’t think that would work out. FYI you can’t see the comments for the large square with a person or figure on it. 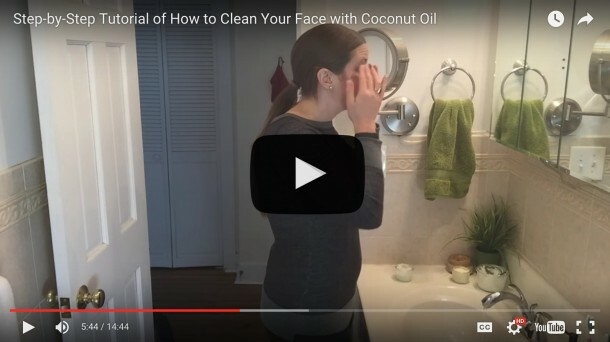 Can you use something other than coconut oil. 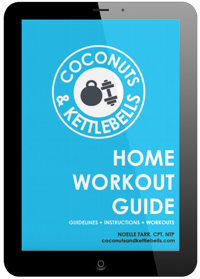 My daughter is allergic to coconut, but has lots of sore muscles. Hi Mickey! You can try a different oil, however, it might change the consistency of the body butter slightly. About 1.5 cups of magnesium body butter. Can i use frankincence oil in this whip as it is also great for inflammation. Sure! 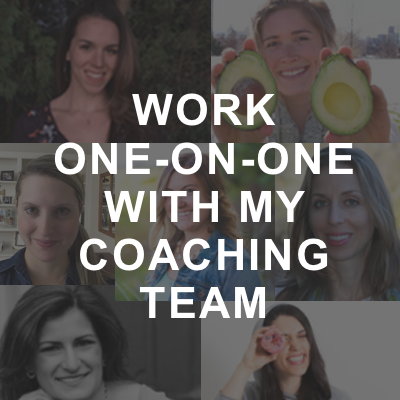 If you’re comfortable and knowledgeable in using essential oils, feel free to switch it up! I bought magnesium powder as that was all the local heath store had, can I use it instead of the oil? I’m sorry, you can’t in this recipe. You’ll have to dissolve it in water to make magnesium oil. How much powder to water ratio? Love the recipe, but I was wondering where you got the Jar that you stored it, from the image above form? Hi pria! The jar is a Weck jar. I bought Magnesium Flakes to make the Magnesium oil but didn’t realize it had MSM in it until it was too late . Can I still use it to make the oil? what is MSM? Hi Jen! I’m not sure as to the exact ratio or how to make magnesium oil from magnesium flakes, as I’ve never done that personally. I would recommend checking out other posts for information about how to make magnesium oil from magnesium flakes and what brands to use, like How to Make Magnesium Oil from Wellness Mama. Can you use cocoa butter instead of shea butter? Yes! 🙂 They do have slightly different consistencies, but it should work! Magnesium oil—yes. Not sure what magnesium gel is or what the consistency is of that. But it should be liquid like water. If you use magnesium citrate flakes instead of magnesium oil, how much of the flakes do you use, (dissolved in water)? The Butter is so white and beautiful! I am wondering…(?) have you ever had an issue with using the Magnesium oil made with the flakes ? The recipe is to add the boiling water over flakes and stir… so isn’t it actuallly a “Water” being added to the butter? OR? Hope lol, does the Magnesium turn the water into an oil..(? ), and there isn’t an issue of the oil/ water , situation? As in adding aloe juice to coconut (example) do you have them both at same temp? Drizzle the Magnesium into the coconut while whipping as in a lotion recipe wo use of any product , that neither of us wouldn’t normally have on hand? I would just love to hear it’s never an issue lol…. I’m going to make it for sure for myself ! I have several (Friends) who could sure use some….. know it would be loved! Warm wishes, on a nice CA rainy night! Magnesium “oil” products are just actually magnesium in water—no difference if you make it yourself. This butter reminds me of big soft clouds! Made this and it is awesome. I used it both on my cards and on bottom of feet and it helped with muscle cramps at night. I prefer it on feet as it makes my feet soft.